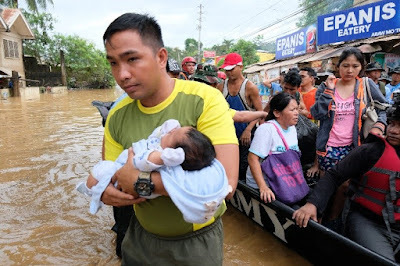 among the rescuers of a group of residents from a flooded area in Cagayan de Oro. NSFA, Panacan, Davao City - Military Community Support and Anti Terrorism teams were deployed to undertake disaster response operations in areas struck by Tropical Storm Vinta in Eastern Mindanao after its landfall on December 21, 2017 in Cateel, Davao Oriental. The teams, who were previously deployed in the hinterlands of Davao City for community support and anti-terrorism operations, were shifted to the typhoon-stricken areas in Davao City which were flooded when the Davao River overflowed. Troops from the 89th Infantry Battalion were deployed in Barangay Mandug and the surrounding areas, while teams from the 3rd Infantry Battalion were tasked to man the downtown area of Davao City alongside Task Force Davao elements. The Naval Forces Eastern Mindanao also deployed its Disaster Response Unit to augment rescue operations in Jade Valley, Tigatto, Davao City. 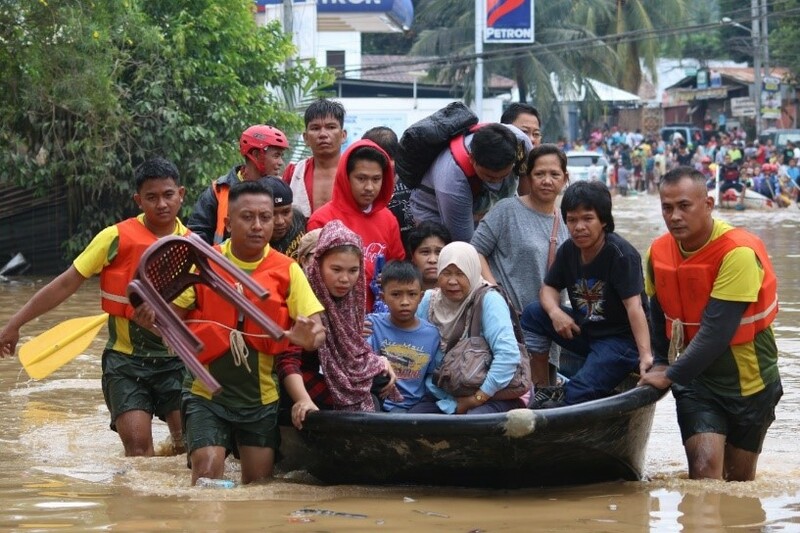 Airmen from Tactical Operations XI were, likewise, deployed in Panabo and Tagum City to aid other rescuers in the area after Libuganon River swelled and caused the flood in nearby communities. 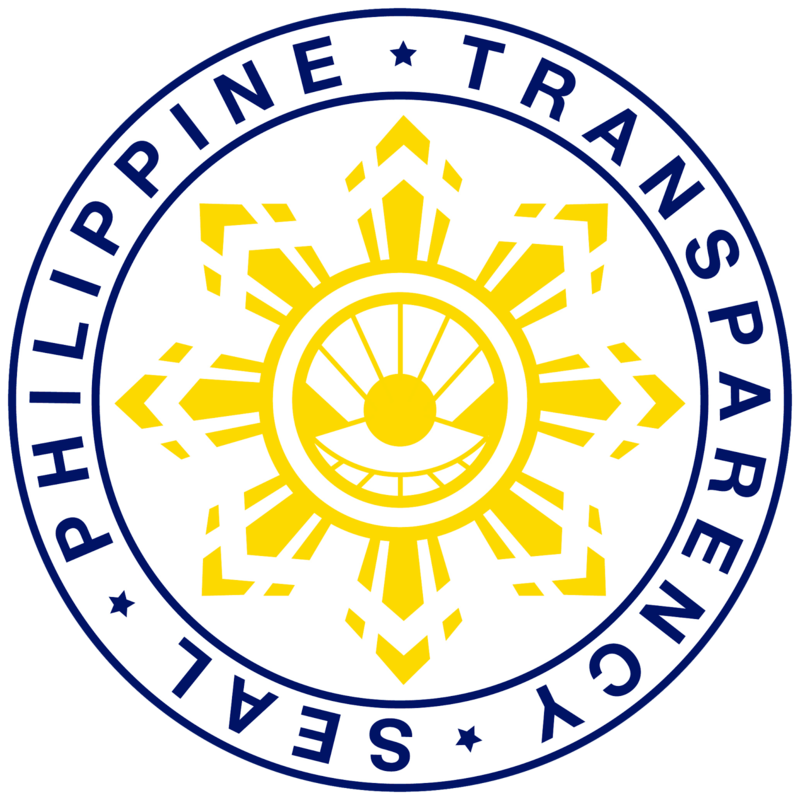 The Tagum-Carmen Highway was temporarily closed as a result of the flood. 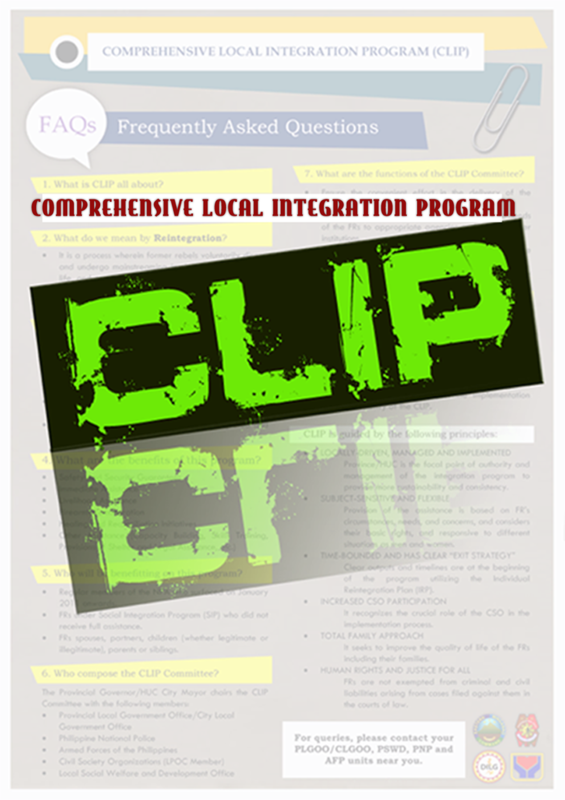 Two military helicopters assisted the Davao City Disaster Risk Reduction Management Council in the conduct of Rapid Damage Assessment and Needs Assessment Survey in Davao Region in the early morning of December 23, 2017. Community Support Teams in Davao Oriental were also deployed in Baganga, Cateel, and Mati to assist Local Government Units in the conduct of preventive evacuation. In Bukidnon, Army Engineers and troops from 403rd Infantry Brigade assisted the Provincial Disaster Risk Reduction Management Council in the clearing of landslide-affected areas in the province. some parts of the area. 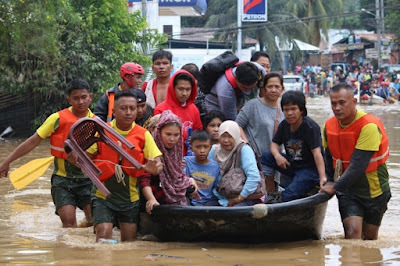 Anti Terrorism Units and members of the Martial Law Special Action Group in Cagayan De Oro City also took some respite to assist in the conduct of search and rescue operations in flood-affected areas. Meanwhile, about 38 military trucks and 300 Community Support Team members were deployed to assist different LGUs in the implementation of forced evacuation and disaster response operations in the different provinces of CARAGA Region. 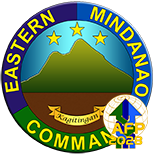 Prior to the landfall of Tropical Storm Vinta, Eastern Mindanao Command had prepared all available equipment and alerted units for possible deployment in areas to be affected by the storm. Lt. General Benjamin Madrigal lauded the alertness and readiness of the different units to respond during calamity. "We recognize your effort and your dedication. 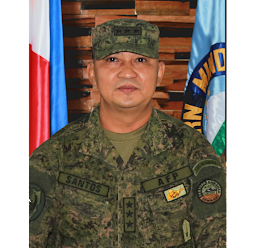 While we are securing areas from threat groups, we also have to readily shift to performing other task and cancel leaves and privileges just to answer the distress call brought about by TS Vinta and mitigate the misery and suffering of our people," Madrigal added.